It's time for a new instalment of the weekly Memory Lane and today we go quite far back in time. 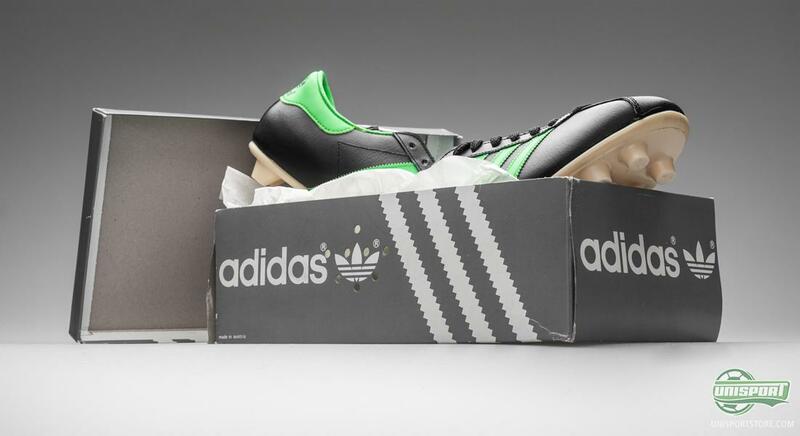 We go all the way back to the time of Der Kaiser, where football boots always were black and microfibre was something you used for insulation, not football boots. We will be taking a look at a pair of vintage Adidas Beckenbauer Star from 1977. It's probably the vast minority who haven't heard of Franz Beckenbauer, who also went under the name Der Kaiser. Undisputedly one of the most influential and biggest Germans to ever grace the football pitch, who is probably most known for his achievements for Bayern Munich and the German national team. 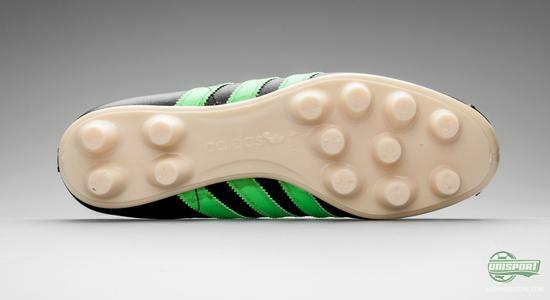 Still to this day his enormous legacy continues to influence football; this time in the shape of a pair of Adidas Beckenbauer Star, that are designed to pay homage to the Kaiser. Franz Beckenbauer is always in contention when discussing who the greatest footballer of all time was and since his career started in the beginning of the sixties, he has won just about every award any player could aspire to. In 1964 the young Beckenbauer started at Bayern Munich, who, back then, were far from the footballing superpower, that they are today. 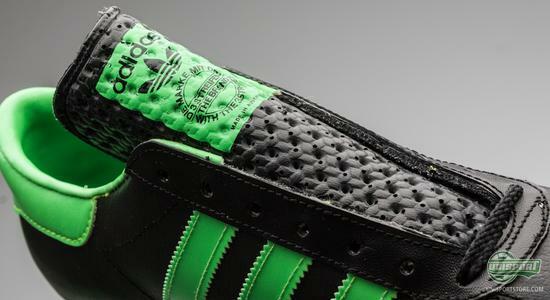 The Kaiser was quick to help the Bavarians up in the 1. Bundesliga, this however was just to be the first success of many. 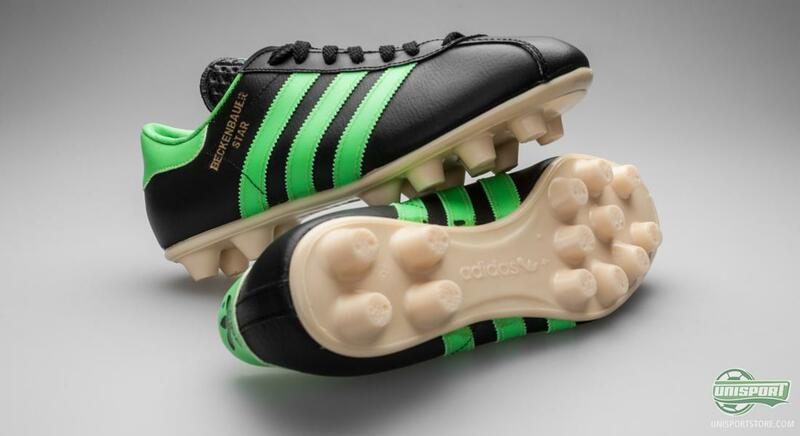 Shortly after, in 1966, the just 21 year old sweeper was selected for the West German national team, that were to compete in the world cup in England, Beckenbauer was one of the tournaments big profiles, with 4 goals from his modest position as defensive midfielder. The English, lead by the Manchester United-legend, Bobby Charlton, left the final as victor's, where one of the most controversial goals ever was scored by Geoff Hurst. 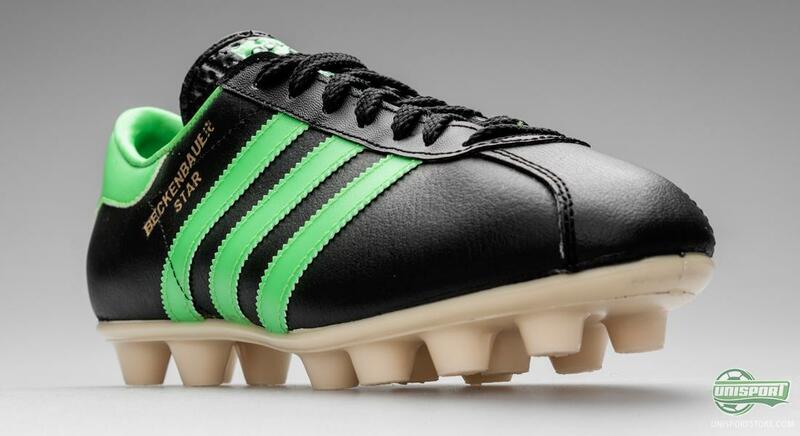 None the less, the slight fiasco for West Germany seemed to have given Franz Beckenbauer the boost he needed and he was soon after given the nickname Der Kaiser, simply because he was the best. 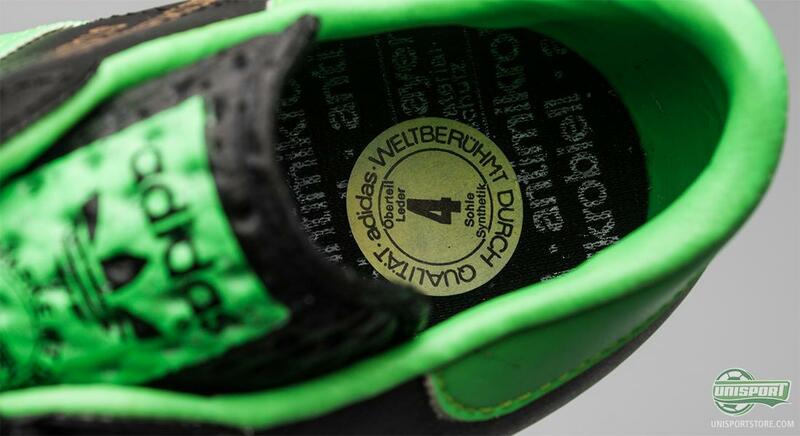 Since then Beckenbauer won five German league titles, four with Munich and one, for good measure, with HSV. He also won four DFB-trophies, Three European cups (In a row!! ), One UEFA Cups Winner's Cup and One Intercontinental Cup, but wait there's more, playing with the national team he won both the world cup (1974) and the European Championships (1972). If you thought we were done, you'd be very wrong, because as an individual he's also won two Ballon d'Or, as well as, a countless number of German player of the year awards and much, much more. 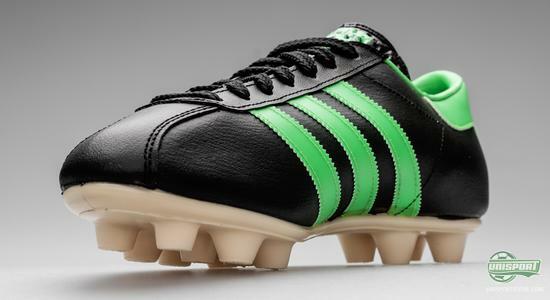 Now we will, in the meantime, turn our attention to another form of tribute to one of history's greats; a pair of football boots. 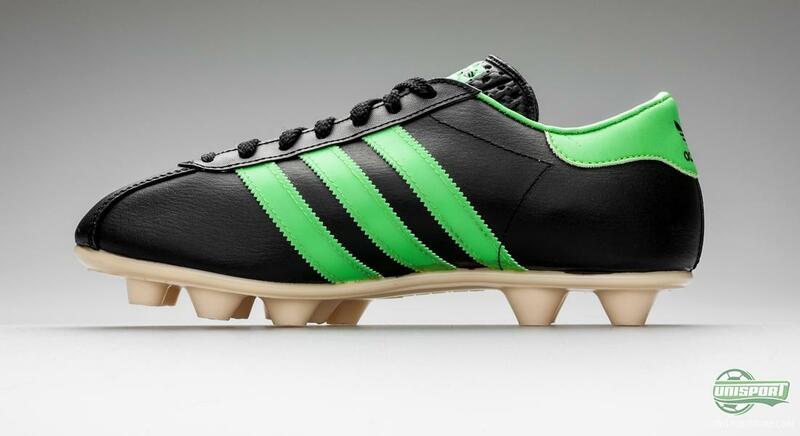 Der Kaiser played his whole career in Adidas boots, Die Marke Mit Den Drei Streifen, and in 1977, around the time he left Bayern Munich, to go to the U.S. And the New York Cosmos, Adidas produced a boot in honour of probably Germany's most important player ever. Adidas Beckenbauer Star came the year before, the to date, most sold football boot ever, Copa Mundial, and the similarities are easy to spot. 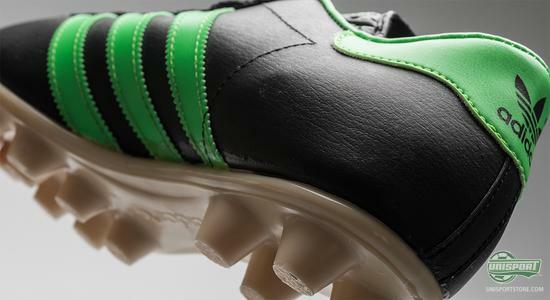 A completely classic leather upper makes up the majority of the boot, as well as, a typical TPU outer-sole, that is fitted with a conical FG Stud-configuration. 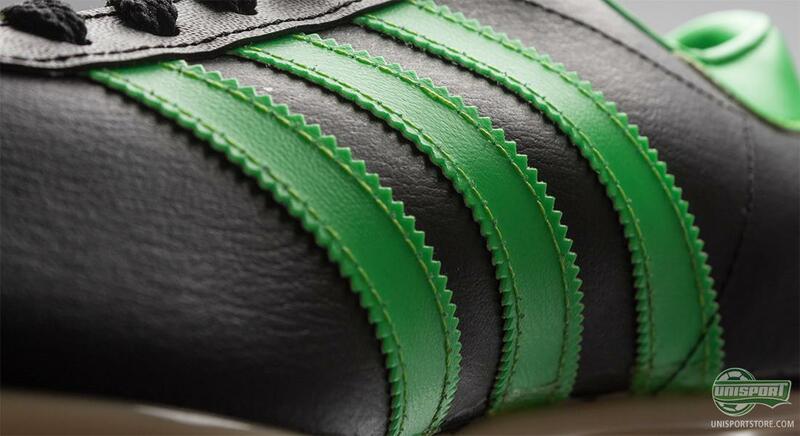 The colours on the other hand, are very different to the Copa Mundial, with this extremely green colourway, indeed. The reason behind the very atypical choice colour was, that the West German away-kit, was like the current, Green. The colour is a common theme used by Adidas, on special boots designed specifically to celebrate the very biggest German footballers. 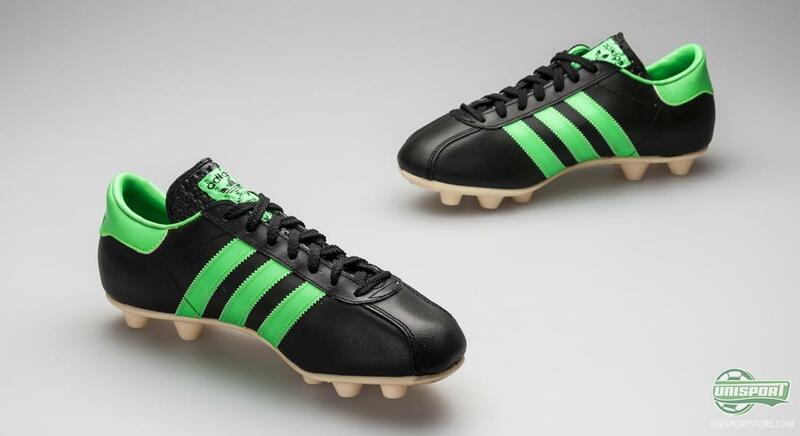 As an example, the old HSV player, Uwe Seeler, has also had a pair boots dedicated to him in the same bright green colour. 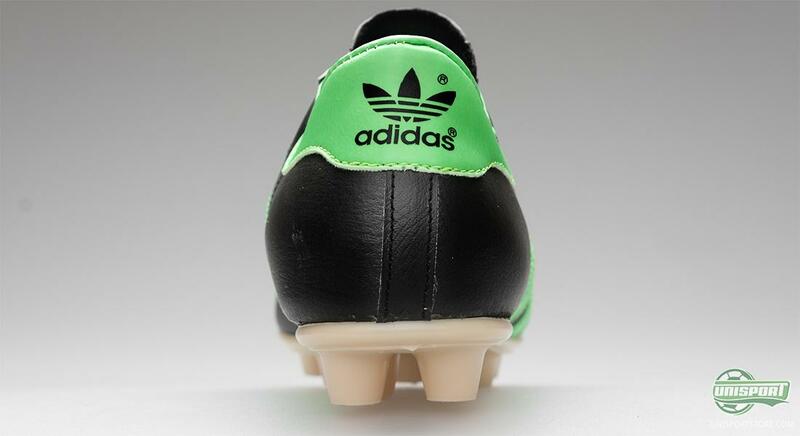 Among the large number of details on the boot, the biggest benefactor is the leather upper, that these day's has lost a lot of the flexibility and softness, that is definitely had back in the day. In other words; You don't shape the boot, the boot shapes you. 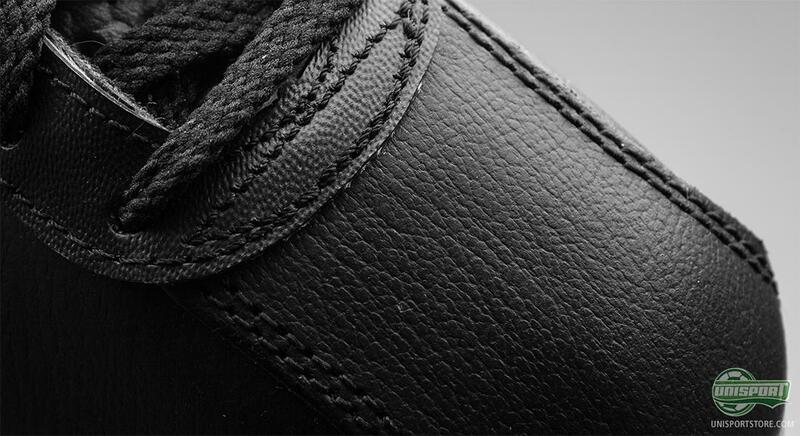 We also take note of the tongue of the boot, that is perforated to allow your feet to breathe and thus increasing the comfort for whoever is using the boot. 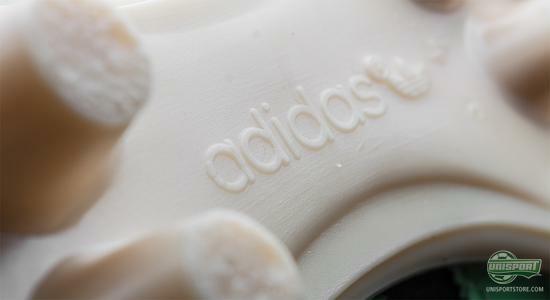 This technology is still to this day used, a recent example being the introduction of the new Puma King, last Friday. It wasn't that long before 1977, that the FG stud-configurations, like we know them, didn't exist. 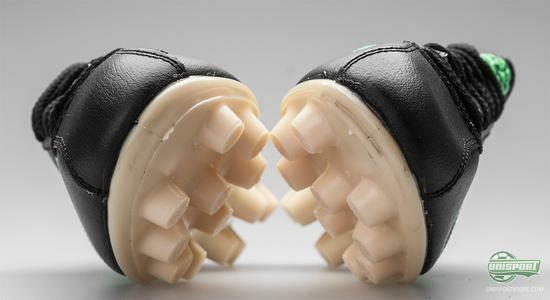 The typical boot had six studs spread out on the sole, that needed to be nailed to the boot by a cobbler. 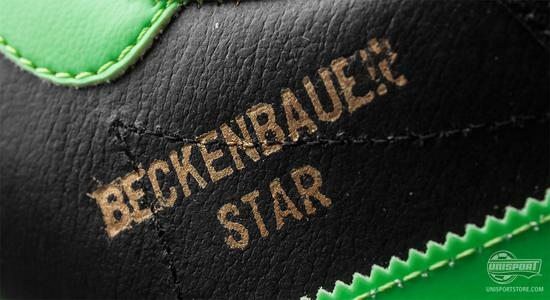 So what we see on the Adidas Beckenbauer Star, is one of the earliest predecessors to the stud-configurations we know today. A boot relic like no other, a good 40 years after it went out of production and it's still, quality-wise, a very strong boot. A simple, but worthy homage to a footballer, who has had such a great impression on the history of football. 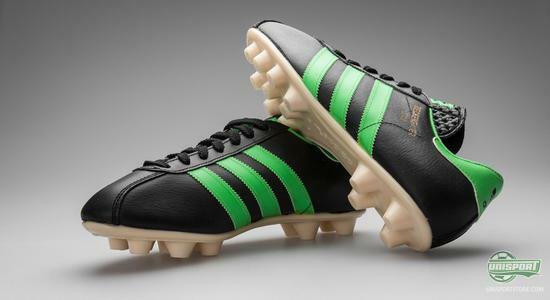 What do you think of the ancient Adidas Beckenbauer Stars? Have you ever seen Franz Beckenbauer in action? Share your comments and thoughts on the Kaiser-boot in the section below.